Admiral Kirk's midlife crisis is interrupted by the return of an old enemy looking for revenge. 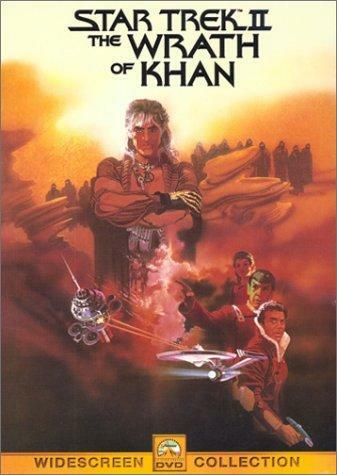 Star Trek ain't my thing, but since this was on the list of 25 best sci-fi movies ever, I had to give it a go. I guess it's pretty good compared to movies from the beginning of the 80's, but it still holds too much of that decade for me to like it. Effects, costumes and dialog seems old to me. But I like that the universe does not take it self to serious, that kind of saves the movie. The story is quite alright, but nothing special. The worst part is the villains of the movie. They have the absolute worst performance, most scenes are over played and exaggerated. But it's quit enjoyable to see a film from this universe that has so many fans. With so many series and movies I can understand why. Worth the time, but not my cup of the!